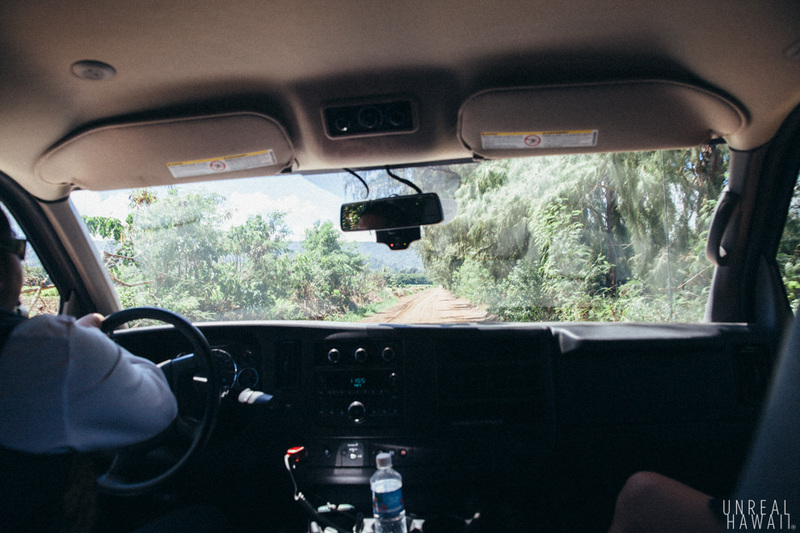 We were up in Kahuku on the North Shore of Oahu. 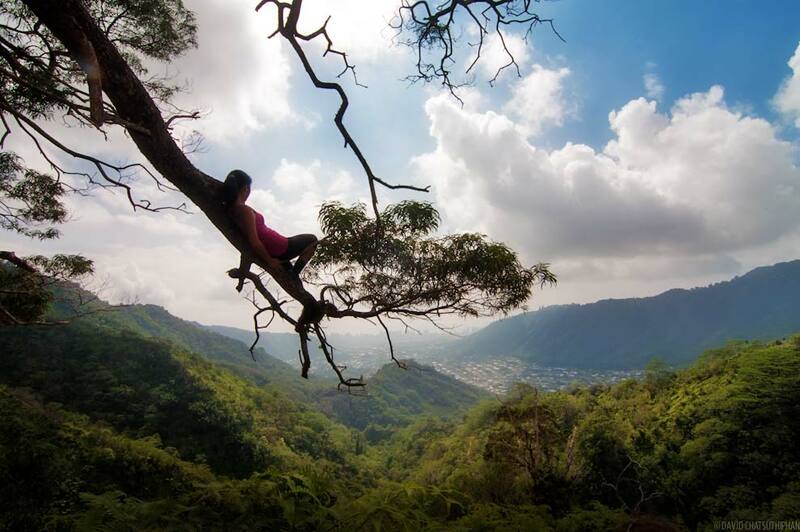 It doesn’t get much more country than this on Oahu. 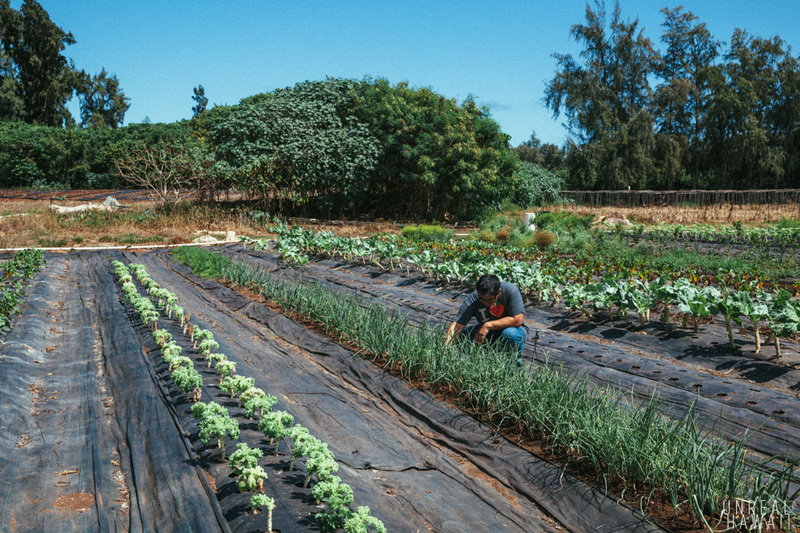 While the whole “farm-to-table” idea might seem like just some foodie trend right now, I think it’s kind of an important concept in Hawaii. 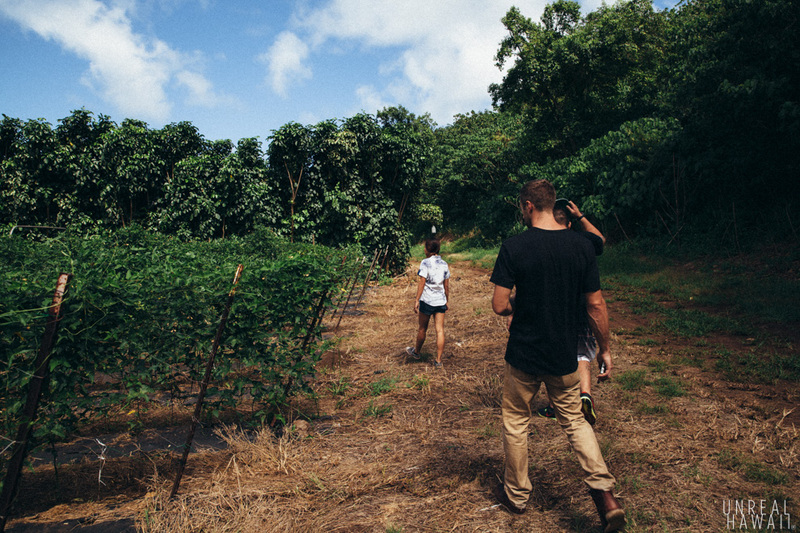 Most of the produce we eat in Hawaii is brought in from the mainland or abroad. 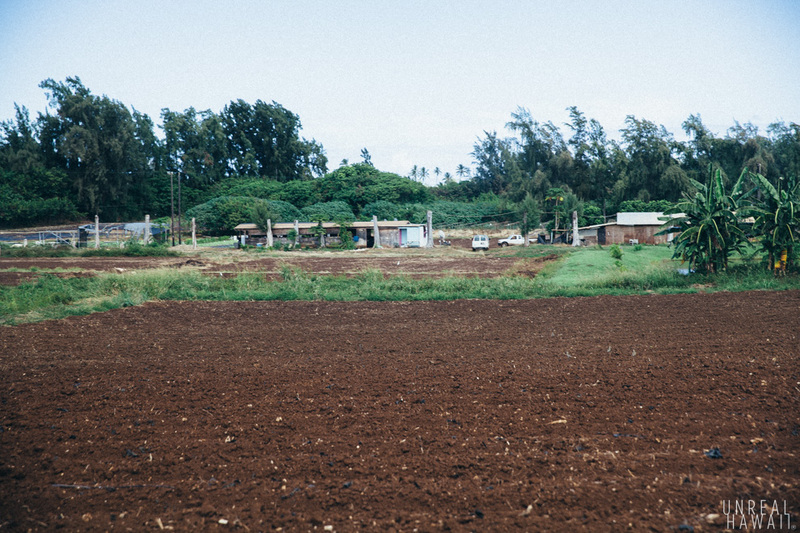 And while there are many farms in Hawaii, a lot of what’s grown is shipped off island and sold to the mainland or abroad. From an environmental standpoint, this is obviously not a sustainable situation. Furthermore, from a yumminess standpoint, we the eaters are losing out as well. As long as we keep bringing in produce on container ships that need to travel over 2,500 miles to get here, we will never have fruits and veggies that are as yummy as should be. 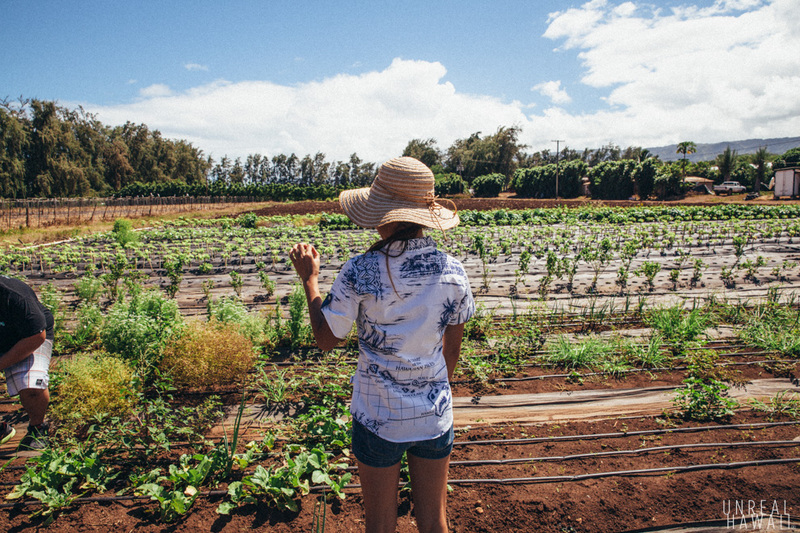 I do think Hawaii will always be dependent on supplies from the mainland but if the demand for local produce increases here, maybe more yummy things will be grown locally. 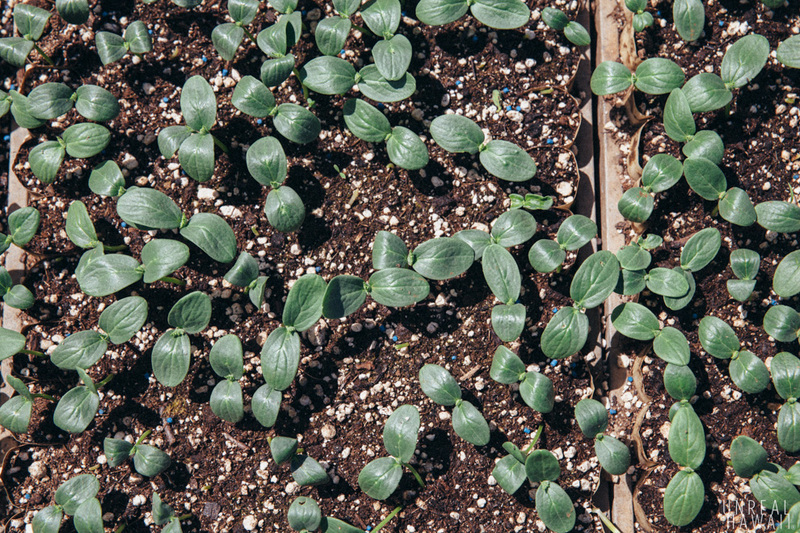 My desire to learn about local food is what brought me here to Ho Farms. 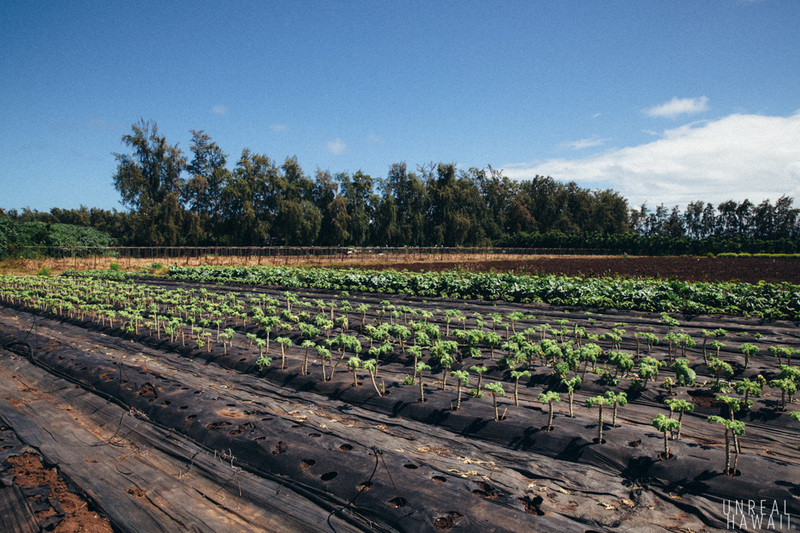 Ho Farms is one of the local farms that supplies produce to grocery stores and restaurants on the island. 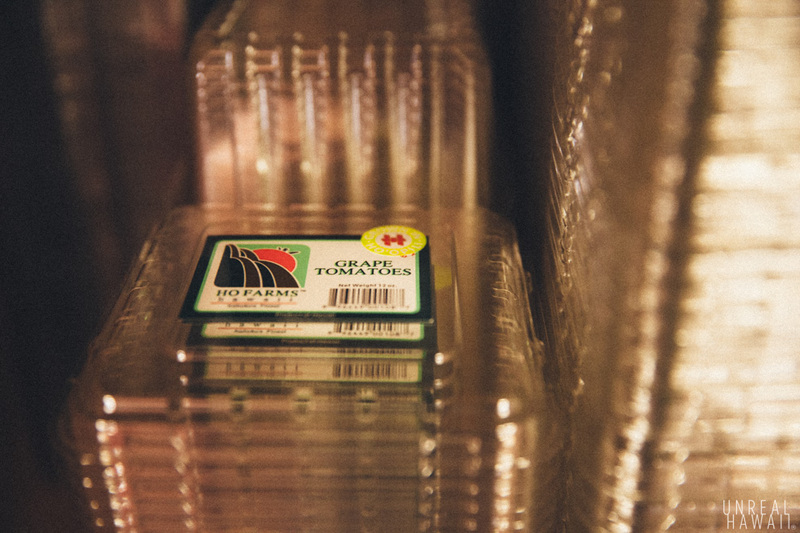 You’ll see their stuff at stores like Costco, Down to Earth, Kokua Market, Foodland, Malama Market and Tamura’s Market. This is Shin Ho. Her family started the farm over 20 years ago and she now manages the operation. They work and live here on the farm. 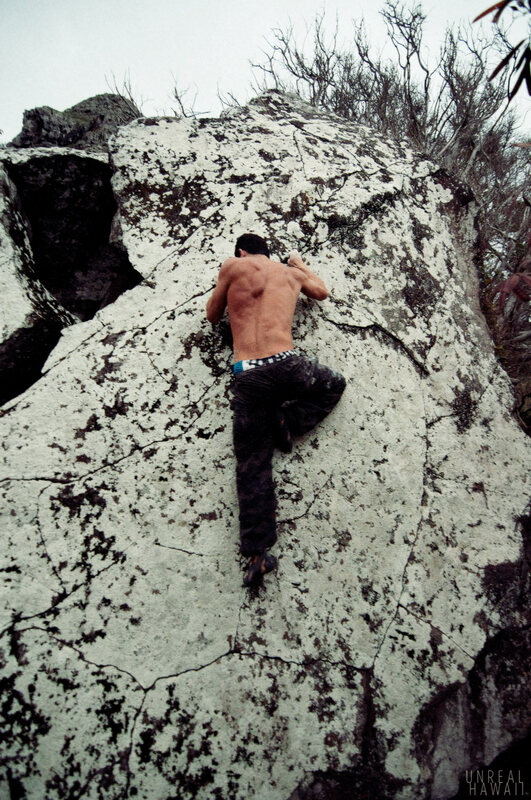 I met Shin recently through my friend Justin Ridgely (local Hawaii rock climber and owner of Volcanic Rock Gym) and when I got an invite to come tour her farm, I jumped on the opportunity. She graciously hosted us for the day and toured us around her property. Our other host for the day was Chef Colin Hazama. 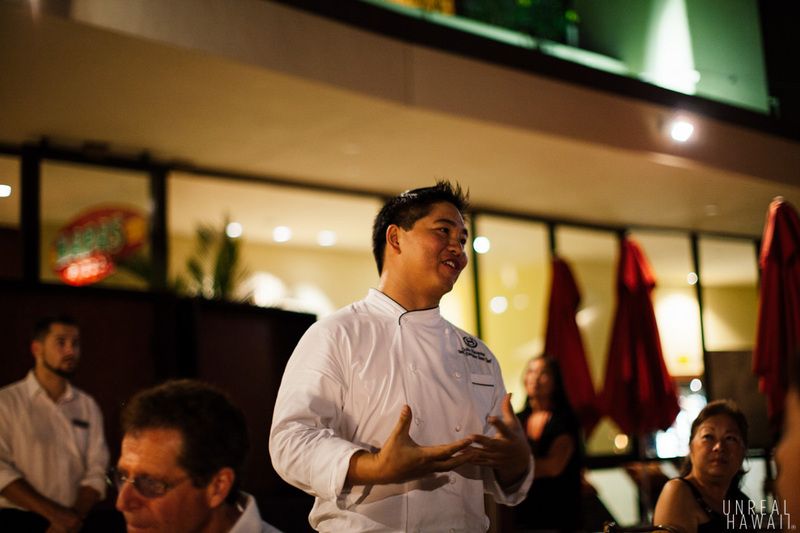 He’s the Senior Executive Sous Chef at Sheraton Waikiki. If your taking a tour of a farm I think it’s good to have a chef in your group. They are not shy about sampling any thing that looks ready to eat off the vine. 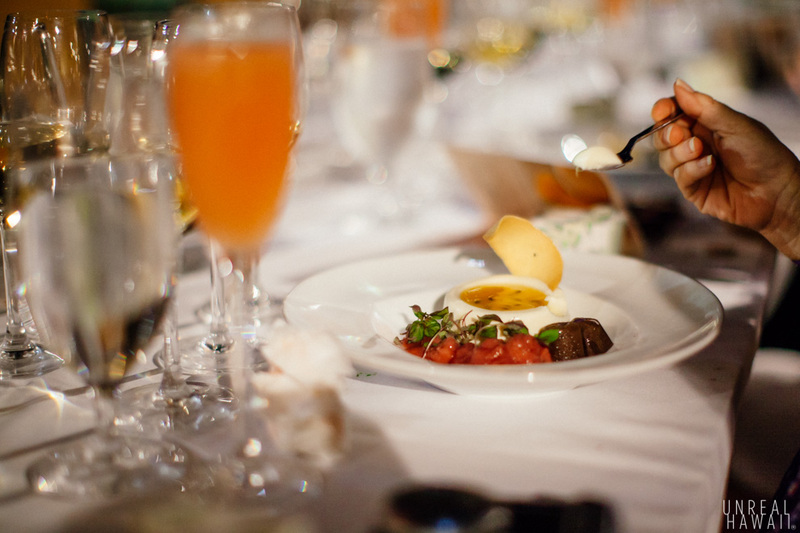 And chefs will have you try things that will be totally new to your palate. Here, Chef Hazama is giving everyone a sample of fresh coriander seeds. He had picked a bunch to use in a soup he was making for our lunch. This is one of many ingredients you can’t just buy at the store. 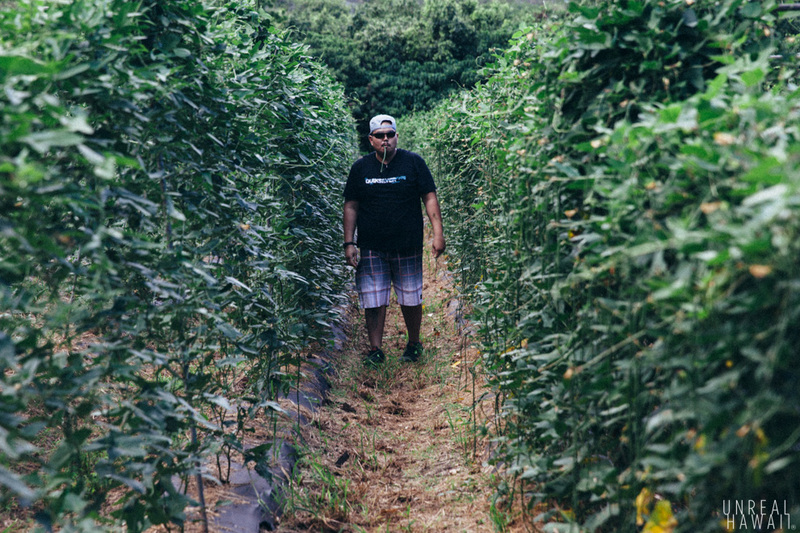 In talking with Chef Hazama, I learned that Hawaii chefs need to build relationships with local farms in order to get good produce. 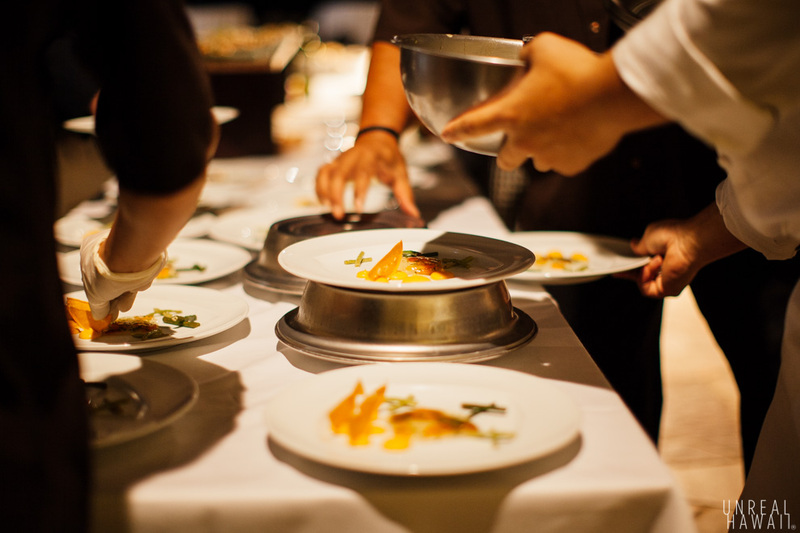 If they want to cook at the highest level, their ingredients need to be fresh. And not only that, but there are certain herbs and veggies you can’t ship in. 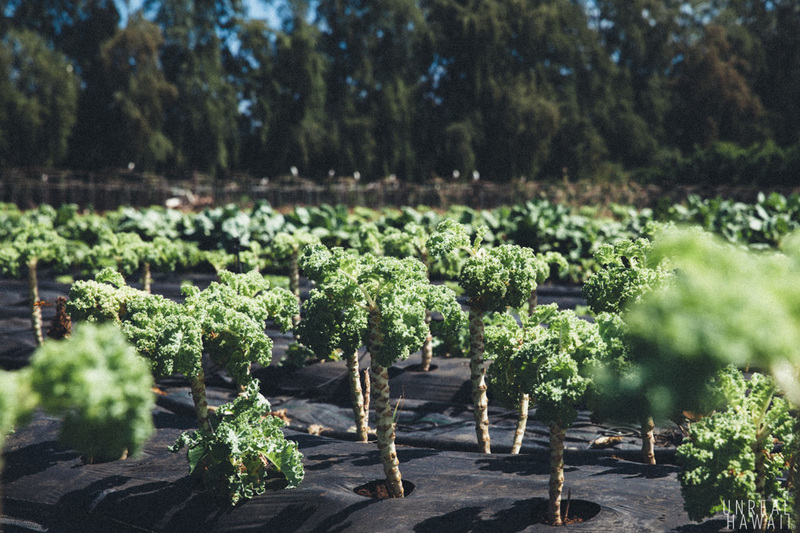 So, unless a chef is willing to use lower quality ingredients or forgo variety in their dishes, they need to find a farmer that will grow food for them. So that’s how Chef Hazama and Ho Farms ended up forming a relationship. They’ve been working together for around seven years now. 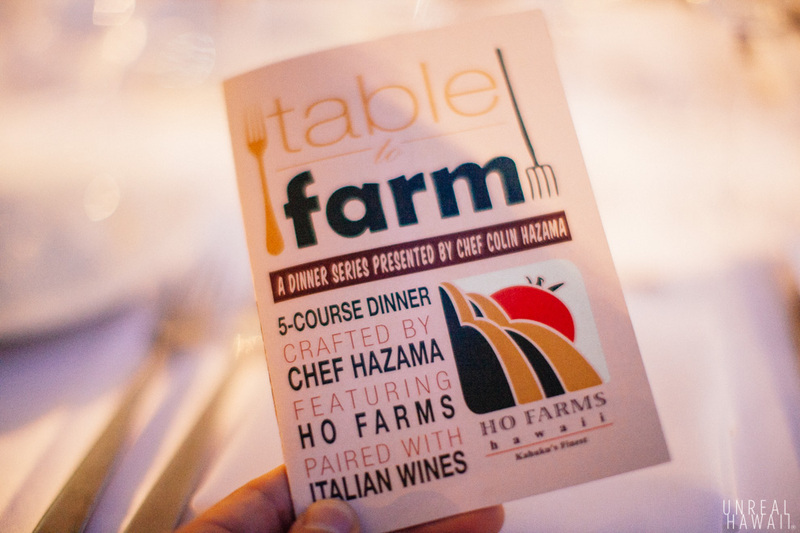 When you eat Chef Hazama’s food at the Sheraton much of the produce is being sourced locally from Ho Farms. 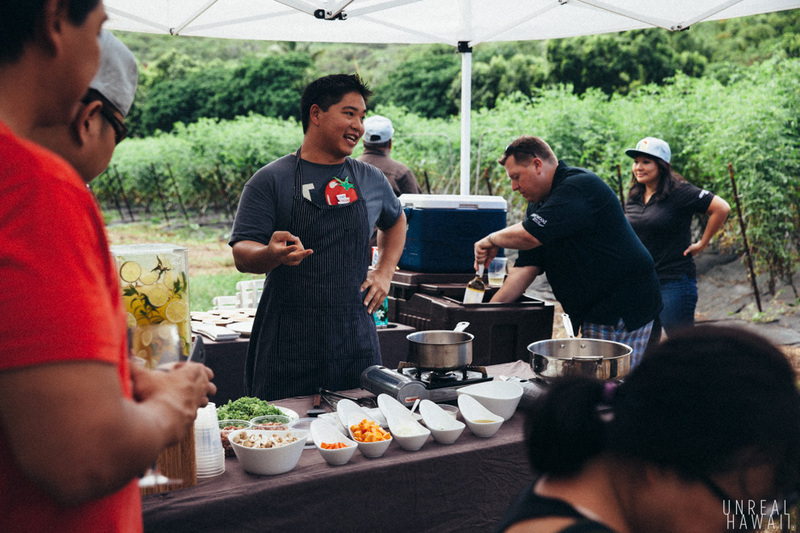 This days tour was organized by Chef Hazama and the folks at Sheraton Waikiki to help educate people on the benefits of using local produce. I definitely learned a lot. 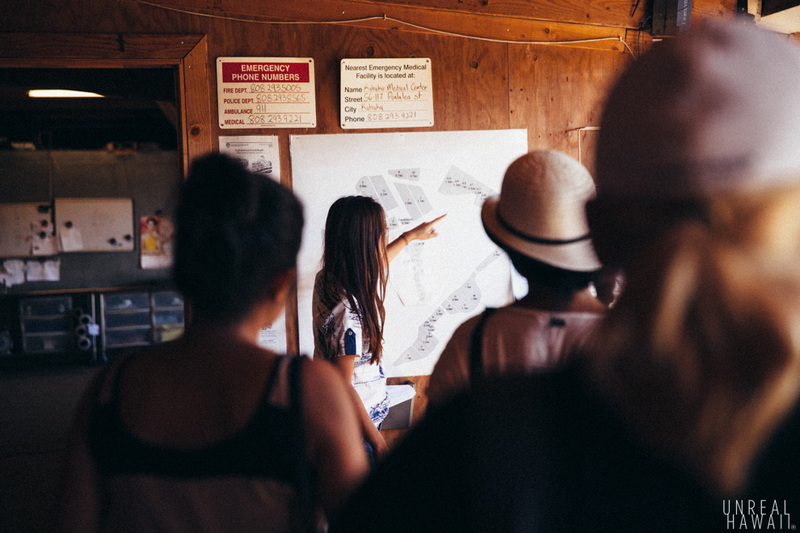 There was something like 15 of us touring around Shin’s farm. I had heard of Ho Farms before but I couldn’t really remember if I’ve tried anything they produced. That is, until I saw this stack of containers. That’s when it clicked. I buy these at Foodland all the time. 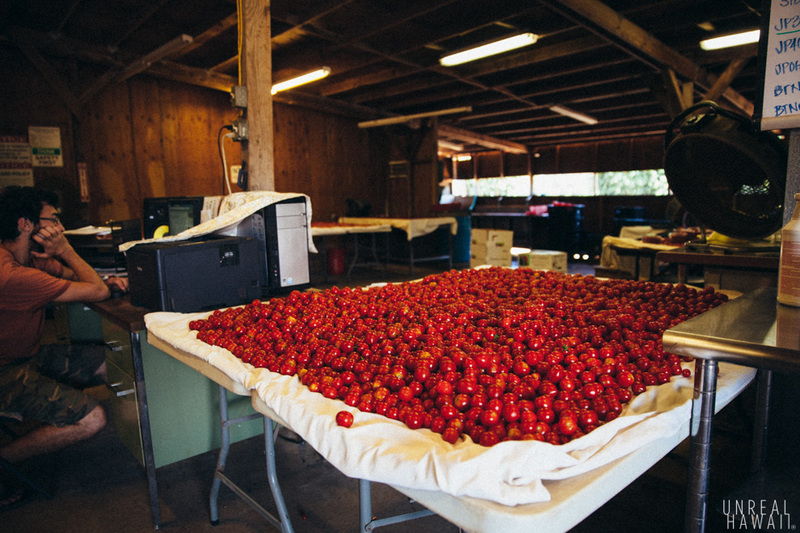 Ho Farms is known for their tomatoes. 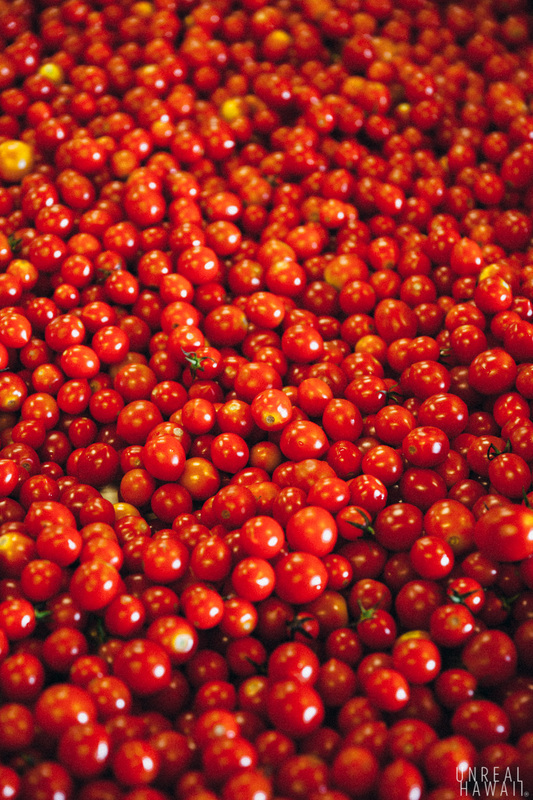 Cherry tomatoes, grape tomatoes, baby Roma, Kahuku Golden tomatoes and Golden Grape tomatoes to be exact. I eat these whole with a sandwich or with my breakfast toast. We got to see the room where they are washed and dried and then run through quality control inspections. 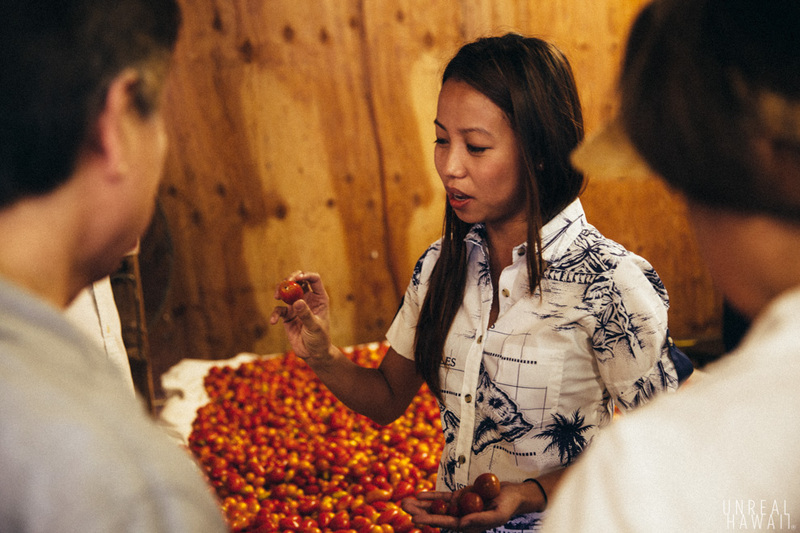 Shin shows us the irregular tomatoes that don’t make the cut. These are actually perfectly fine to eat but they have to sort them out because us consumers won’t buy them if they look misshapen. 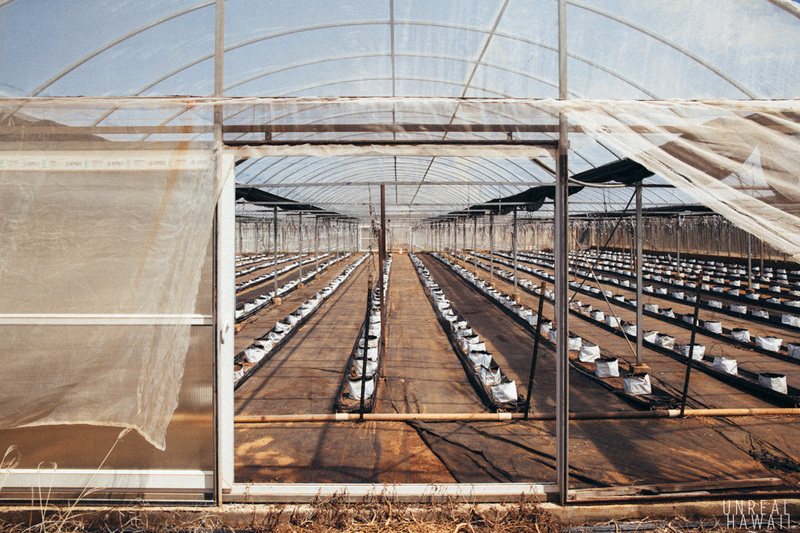 That’s the nature of the produce business. 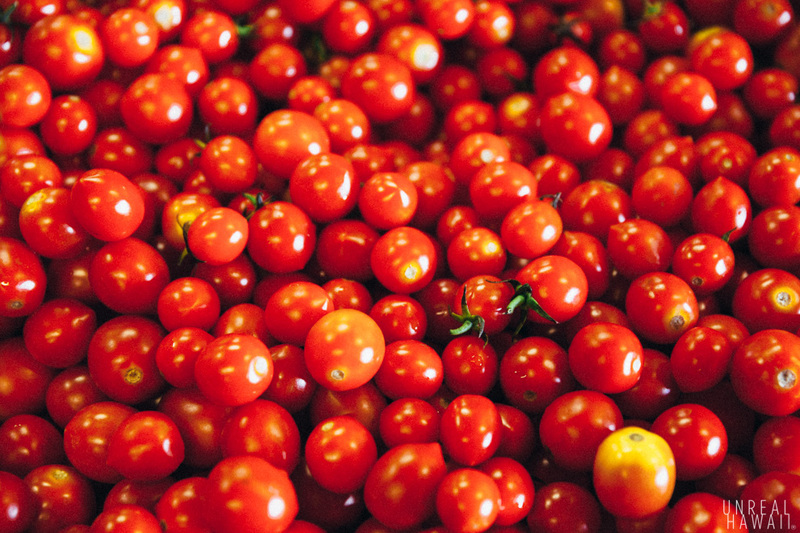 These guys grow some tasty tomatoes. We also got to check out Ho Farm’s other signature product. 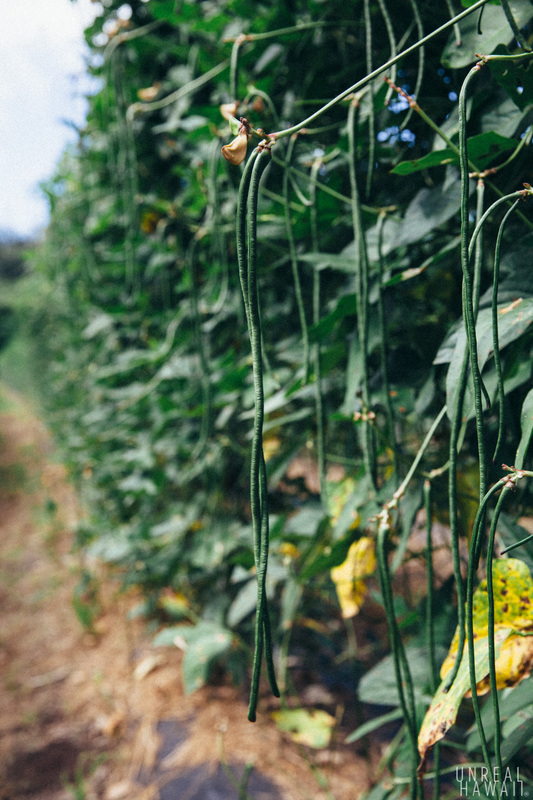 These are long beans. I didn’t realize it until this tour but I buy these all the time as well. I cut them into 2-inch pieces and stir fry them with ground pork and tofu. Around lunch time we drove up a road on the farm and just around a bend, there was a tent set up for us. For being on a farm up in the Country, this was pretty fancy. And then it got fancier. I didn’t know this was going to happen but Chef Hazama put on an apron and gave us a cooking demo for the soup he would be serving with lunch. 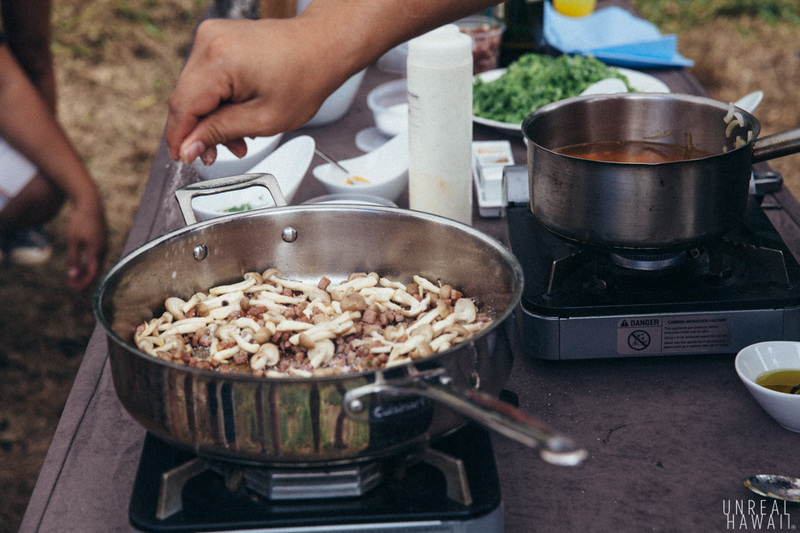 I hope some of you reading this story watch food shows and like cooking as much as I do. I thought this was awesome. 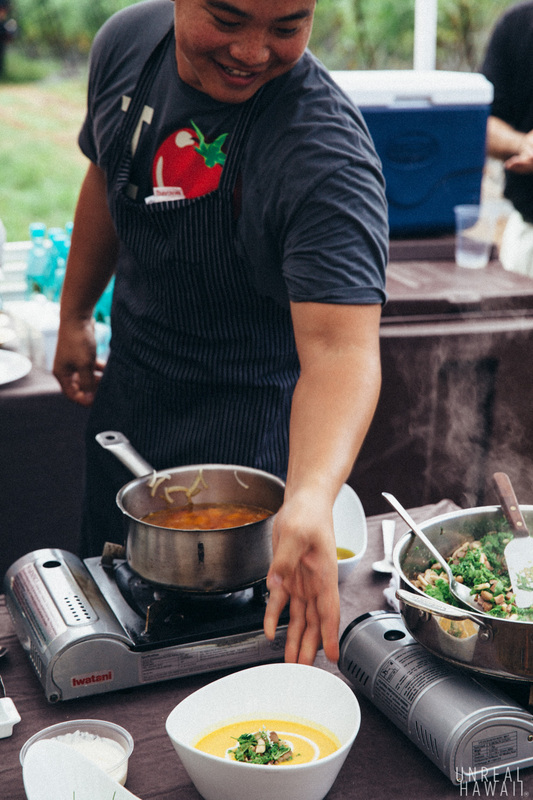 Chef Hazama was making a butternut squash soup with mushrooms, kale and creme fraiche. It tasted ridiculously good. A bit indulgent, but definitely tasty. 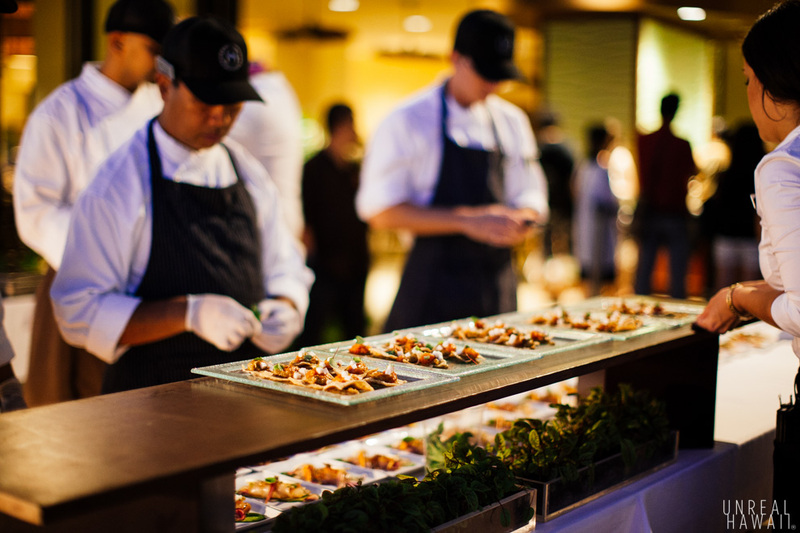 The folks from Sheraton Waikiki know how to set up an impressive spread. 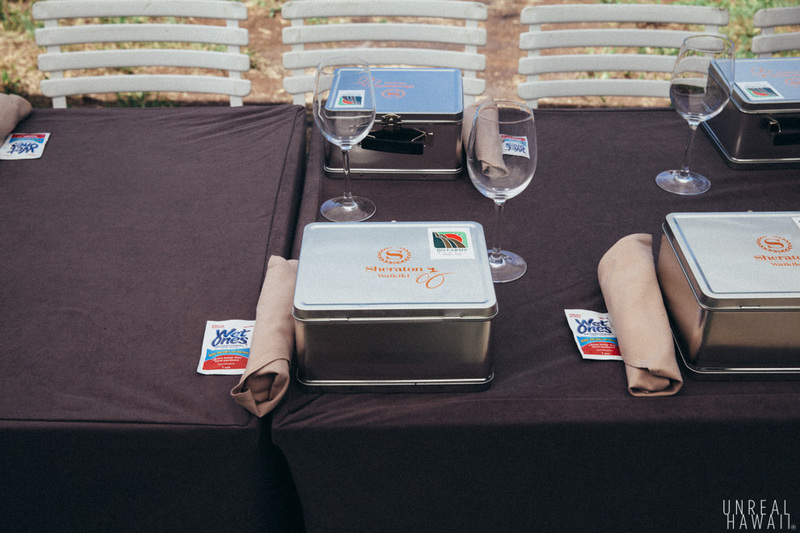 We waited until the last minute to open the lunch boxes so as not to spoil the mystery. I watched Justin open his first and peeked in. 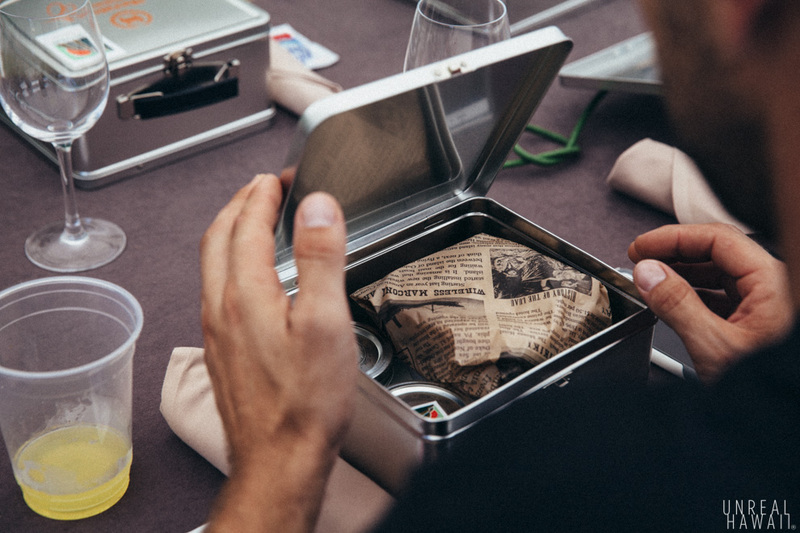 Any sandwich wrapped in newsprint immediately looks good. 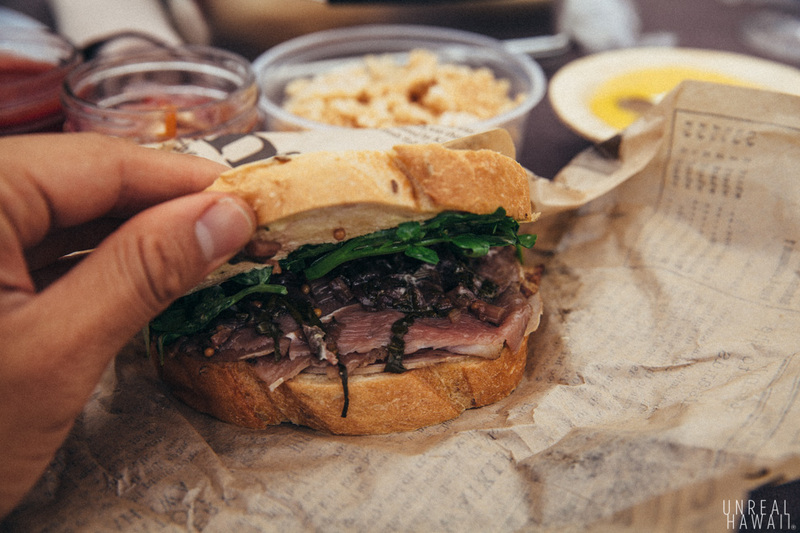 Inside we found duck pastrami, sour chard and yuzu garlic aoli. All on bread from the Sheraton bakery. 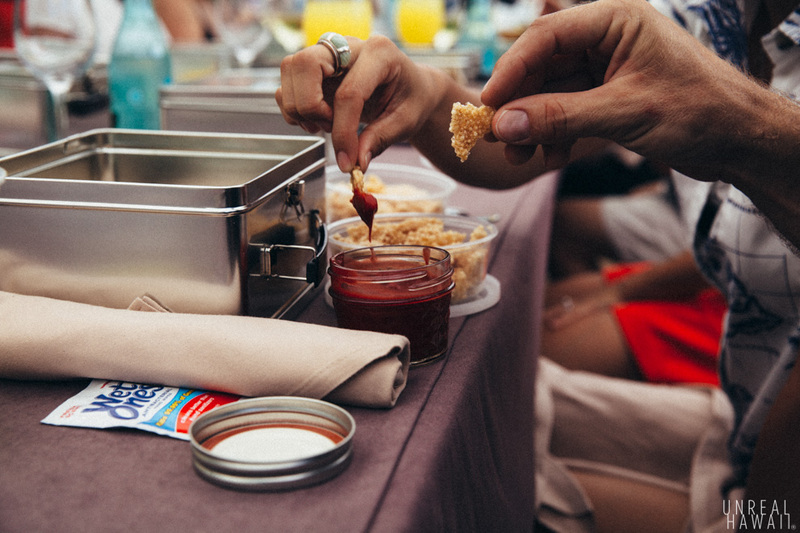 On the side, we were provided beet ketchup and tapioca crackers. We hung out and talked story it bit more but soon it would be time to go. 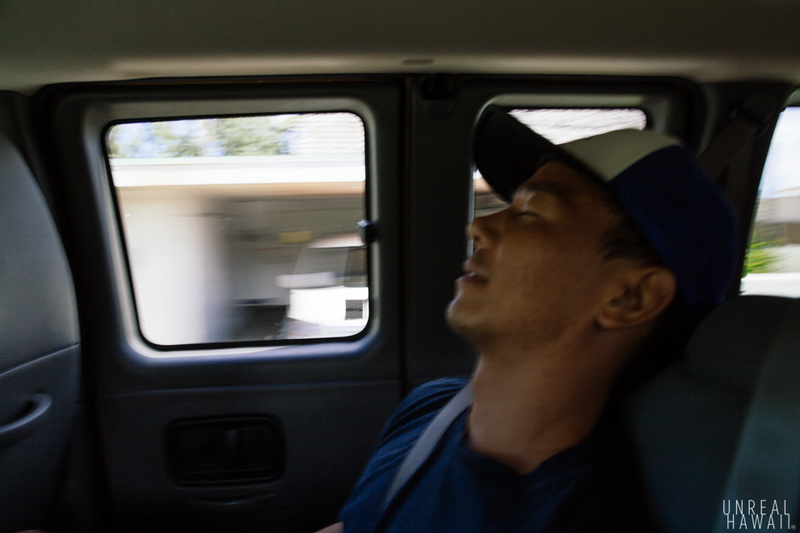 It would be a long drive back to Waikiki. 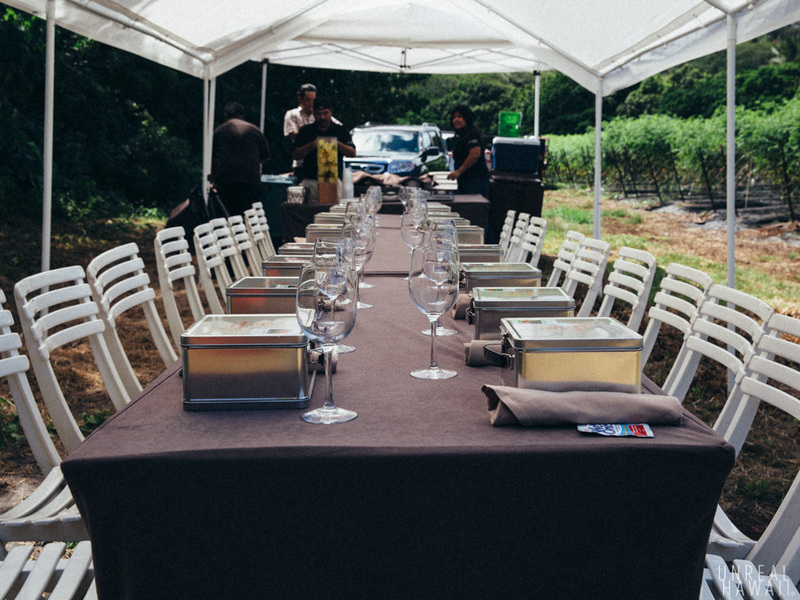 This farm-to-table experience actually started on the day before the farm tour. 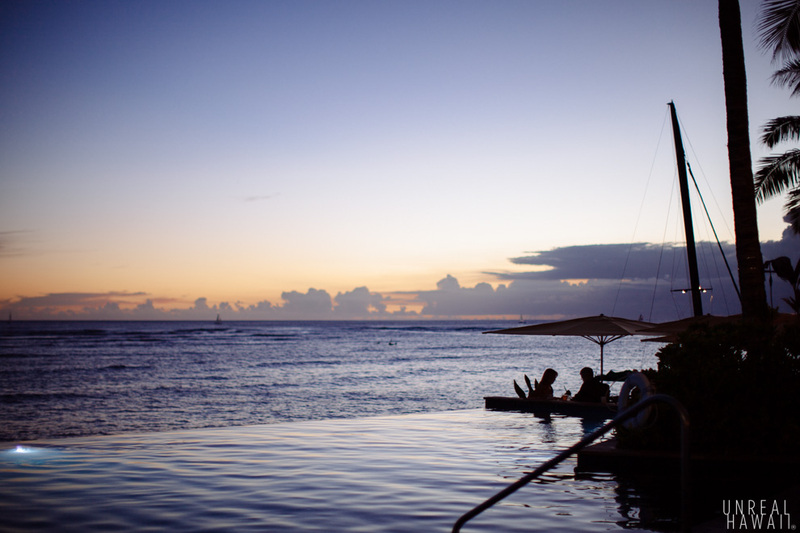 The folks at Sheraton Waikiki hosted a farm-to-table dinner at the hotel by their infinity pool. The dinner was a nice treat after a long week of work. Especially since we got to sit next to Justin and Shin. Shin Ho and Chef Hazama introduced themselves and talked about local food. The food was prepped right next to our tables. This was a totally new experience for me so I just tried to soak it all in. 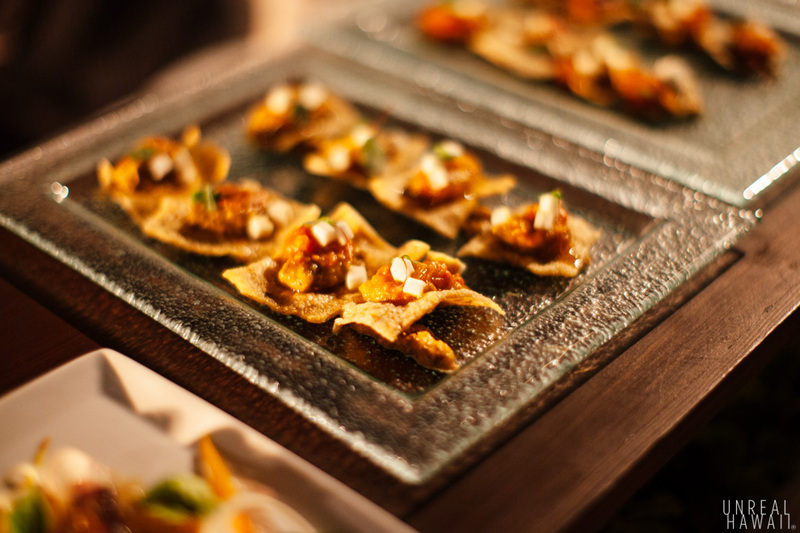 The first item served was called a “snack.” It was a “Flourless Vegetable Tart” made with smoked melted tomatoes, Ho Farms basil eggplant butter, pickled hearts of palm and a cassava cracker. 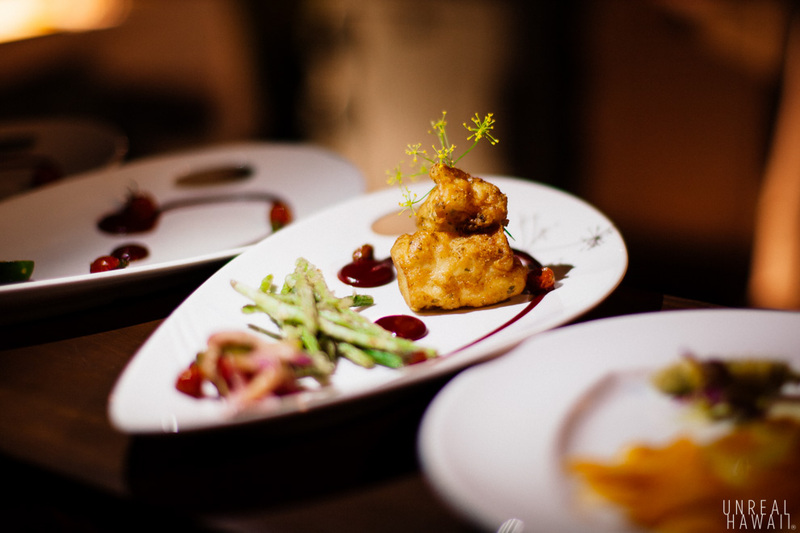 With each dish, our chef explained the inspiration behind each dish and what was used in it. I felt like a judge on an episode of Top Chef. Each dish was paired with a different wine. 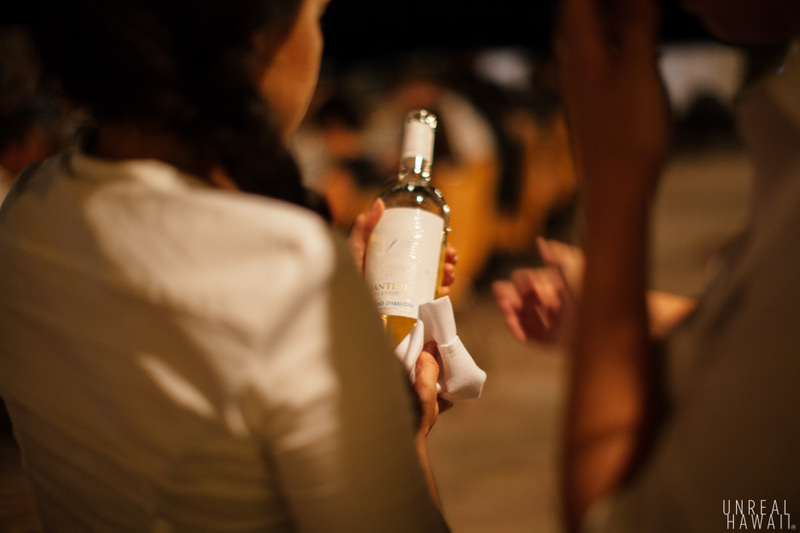 For each wine served, the Sheraton sommelier discussed the reason it was chosen and why he liked it. 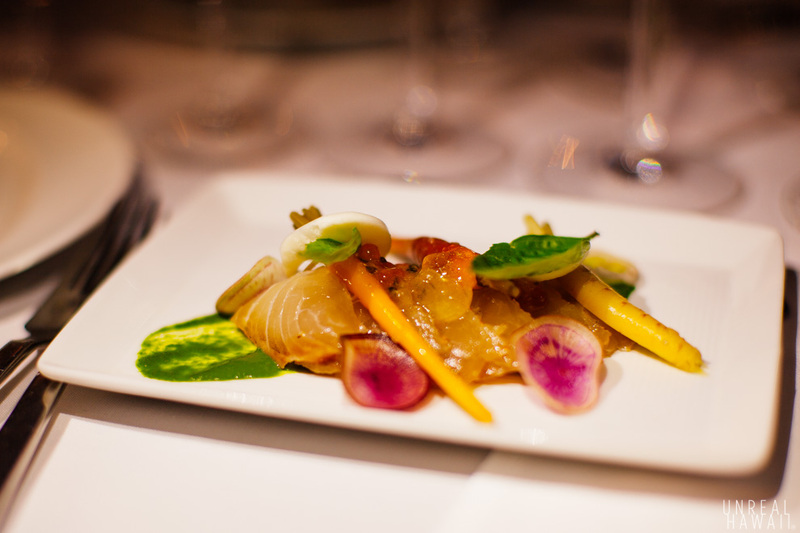 Our first course for the meal was a “Vodka Cured Kampachi.” Made up of a white soy dashi gelee and finger lime caviar, Ho Farms pickled baby carrots, shaved watermelon radish and lemon basil pesto. If that all sounds like foodie jibberish to you, then the best way I could describe this is a sashimi salad with tons of flavors going on. It was super good. 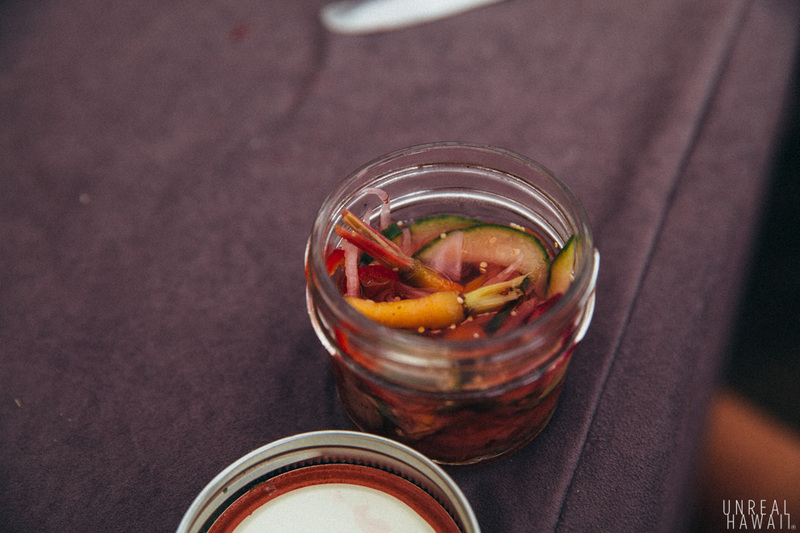 The second course was a “Taste of Ho Farms Salad.” Made up of a golden Kahuku and currant tomato gelee, candied butternut chips and crisp heirloom okra, preserved Meyer lemon mustard vinaigrette. 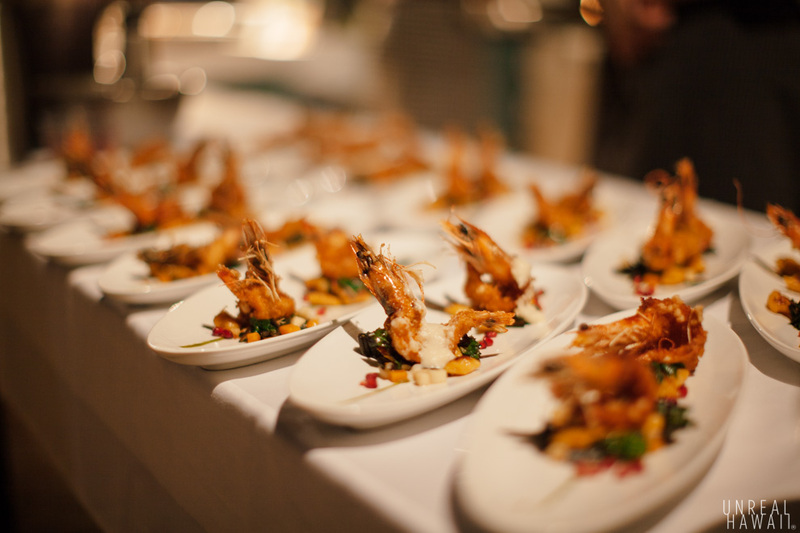 Course three was a “Cassava Crusted Kauai Shrimp.” This one had spiced butternut squash gnocchi, applewood smoked Ho Farms swiss chard, Wailea hearts of palm, Ho Farms baby cucumber mustarda and garlic yuzu crema. The fourth course was “Fish-N-Chips.” Kona Brewing beer battered onaga, housemade pickles, calamansi lime pickle vinegar, Ho Farms Chinese long bean fries and Ho Farms pomegranate beet ketchup. Our fifth course was desert. 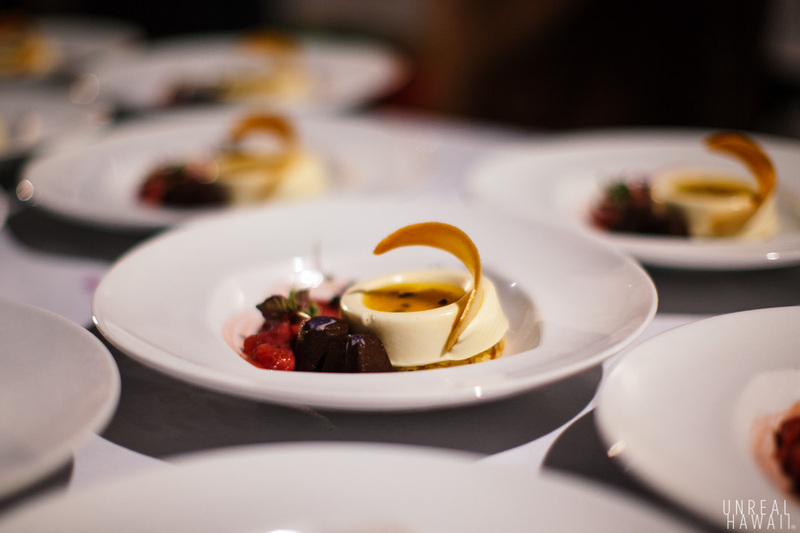 It was a “Big Island Meyer Lemon Goat Cheesecake.” Dark chocolate aubergine truffle, Kula strawberry, Ho Farms ice cream banana confiture. 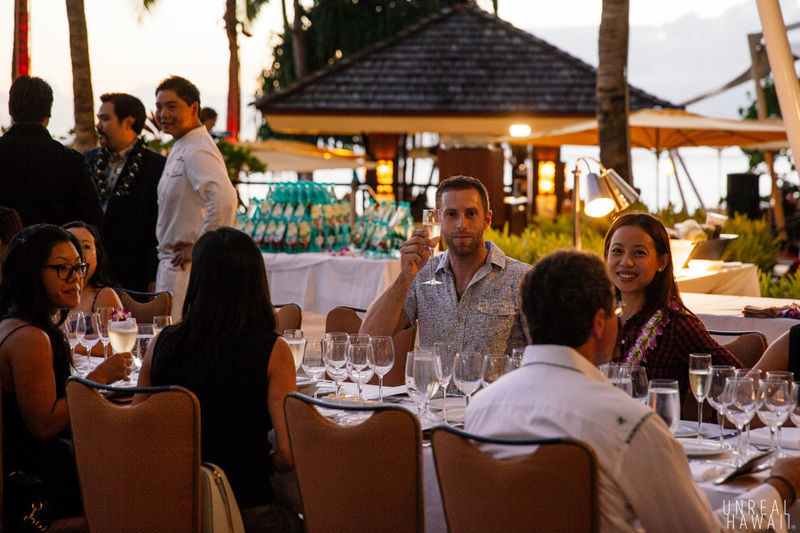 This event made me appreciate a side of Hawaii that I’m not totally familiar with, the hospitality industry. I have to think there are special dinners like this going on all over the islands. It was a real treat to be able to experience one of them. 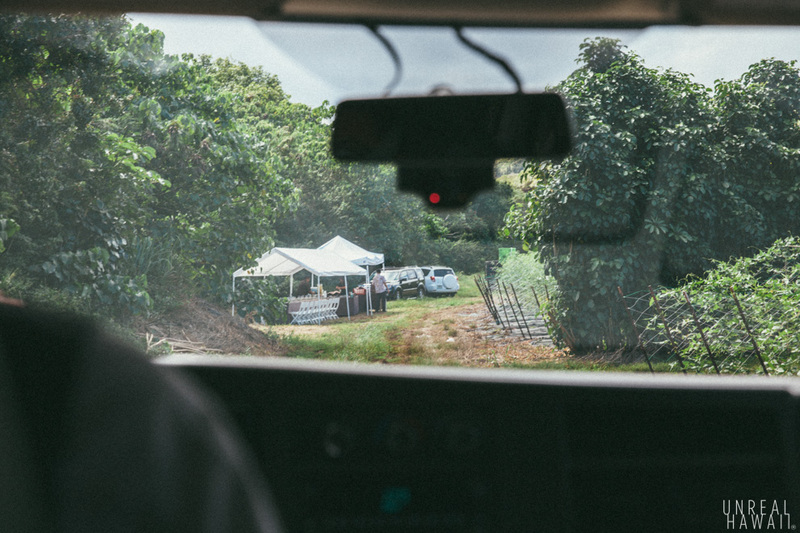 The next morning I was thankful that the folks from Sheraton provided vans to shuttle us up to Ho Farms on the North Shore. I needed a nap.When I woke up this photo was on my camera. 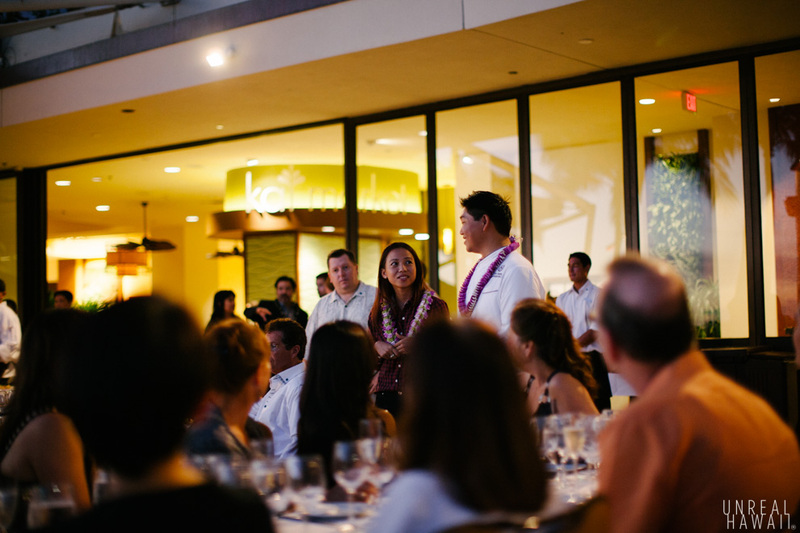 A big mahalo goes out to the folks at Sheraton Waikiki for inviting me to this event. 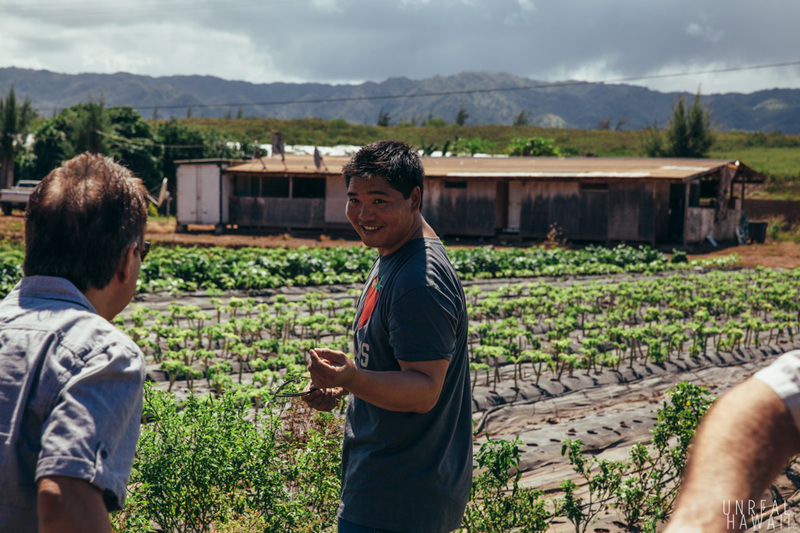 Mahalo to Chef Hazama for the delicious food and mahalo to Shin Ho for the farm tour. 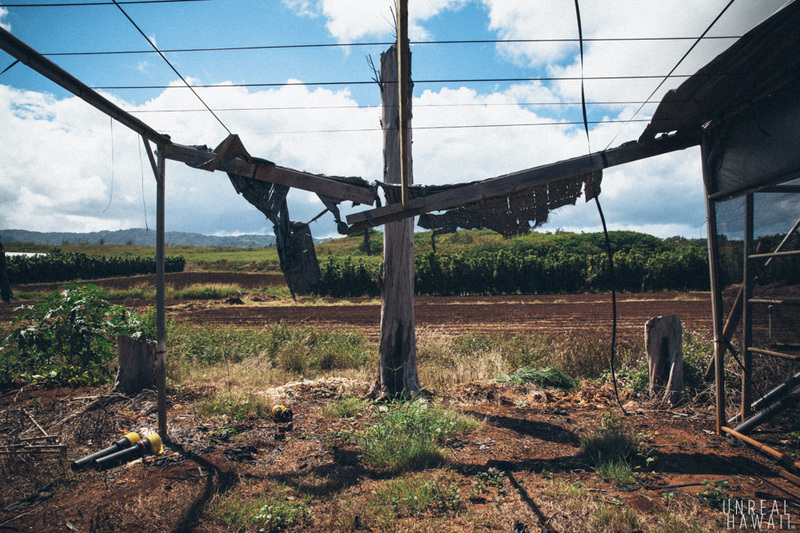 This is the first post in my exploration of the Hawaii local food scene. 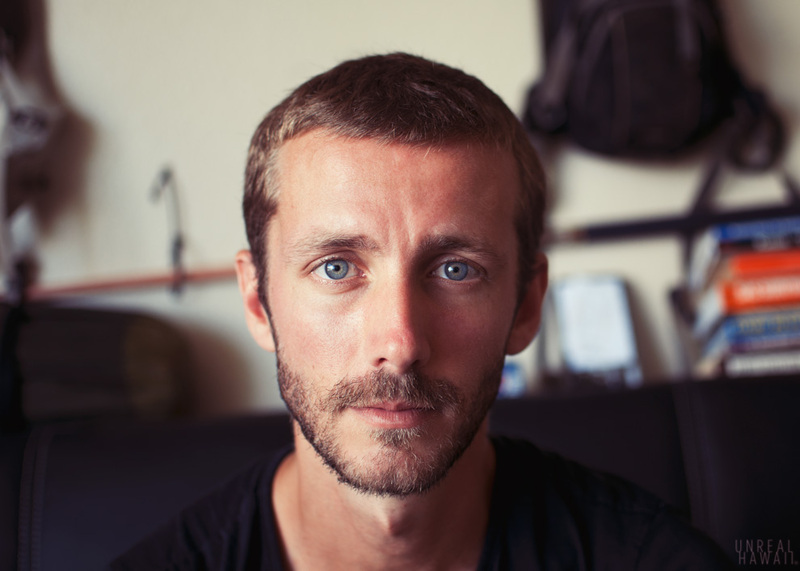 I have a few more stories lined up so I hope you’ll join me on this learning process. 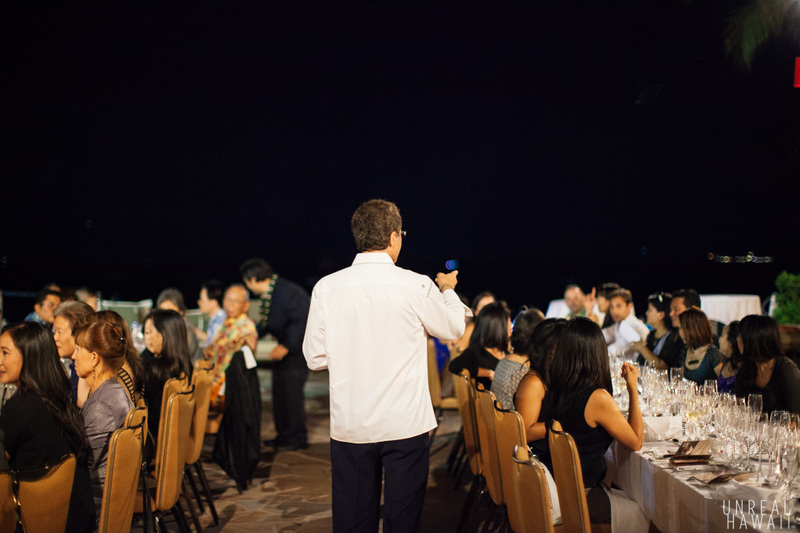 This dinner and farm tour were part of Sheraton Waikiki’s “Table to Farm” dinner series. You can learn more about this dinner series at www.flavorsofhawaii.com. 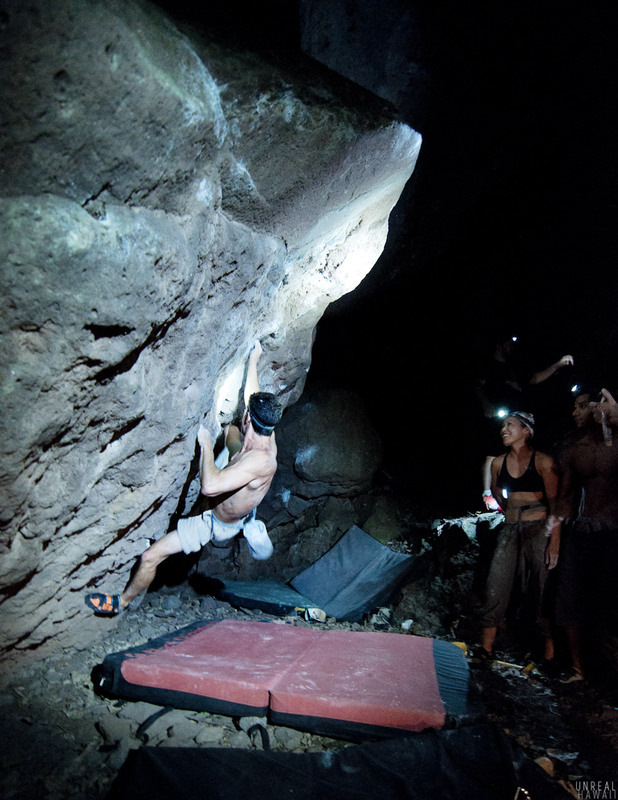 All photos by David Chatsuthiphan.